My white version of the Embroidered flower pattern won 7th place in the Spoonflower challenge. 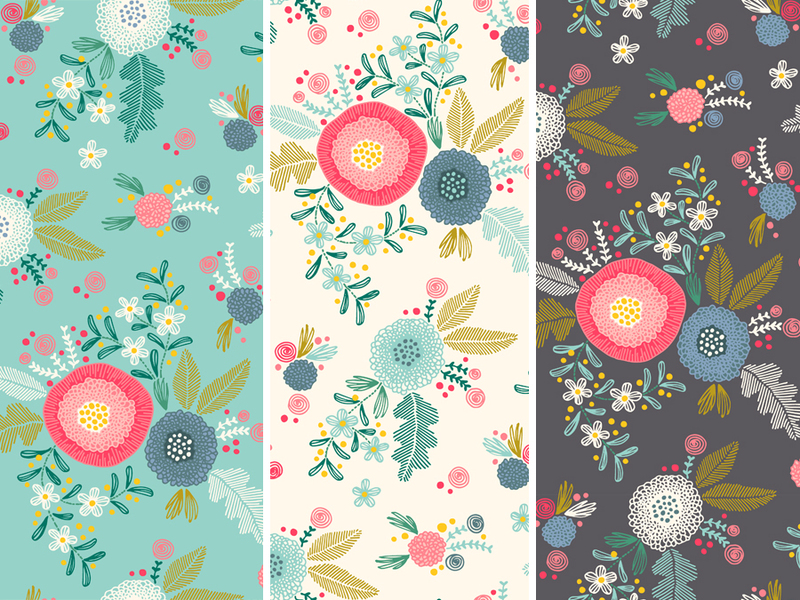 I made some other colorways and put them all up for sale in my Spoonflower shop. Here you can buy them printed on fabric, wallpaper or gift wrapping.